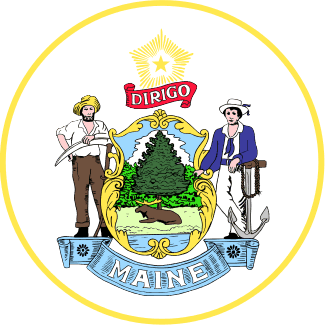 Maine Landlord Tenant Laws are provided in the Maine Revised Statutes, Title 14, Part 7. Chapters 709 and 710 explain the rights and responsibilities of each of the parties to a landlord tenant agreement in the State of Maine. Violation of the statutes could potentially lead to a successful claim against the other party if one of the parties fails to comply with the statutes of Maine Landlord Tenant Law. This information is not intended to substitute for legal advice. If you have questions regarding Maine Landlord Tenant Law, you should seek the advice of an attorney. Stay up to date on Maine Landlord Tenant Laws + Save money on tenant screening and other property management needs. Join AAOA today, it’s FREE! Chapter 710-A §6032 specifies that a security deposit required of tenants may not exceed the equivalent to more than the rent for two months. The landlord must return the security deposit in full at the end of the tenancy, provided the tenant does not owe back rent. The amount of rent due and the cost of repairs for any damages caused by the tenant can be retained. However, if any portion of the security deposit is retained, the landlord must provide written notice to the tenant, itemizing the reasons for the withholding of any part of the security deposit. Landlords are not permitted to retain any part of the security deposit for normal wear and tear. If a landlord fails to return the security deposit to the tenant without legal reason to do so, the tenant can commence legal action against the landlord. If the court rules against the landlord, the landlord is liable for double the amount of the withheld security deposit, plus court costs and reasonable attorney fees of the tenant. C. The tenant is 7 days or more in arrears in the payment of rent. If a landlord alleges that a tenant is in arrears of the rent, the tenant may raise as a defense any alleged violation of the habitability of the premises, provided that the landlord or the landlord’s agent received notice of the alleged violation from the tenant and failed to take corrective action. This is permissable provided the damage or condition was not caused by the tenant or tenant’s guests. You can possibly avoid such allegations by completing the comprehensive Maine Landlord Forms, one of which is the Move In/Move Out Checklist. Both parties will sign the form agreeing to the condition of the premises, which can then be produced in court if necessary. E. Prior to being served with an eviction notice, filed, in good faith, a fair housing complaint for which there is a reasonable basis with the Maine Human Rights Commission or filed, in good faith, a fair housing complaint for which there is a reasonable basis with the United States Department of Housing and Urban Development concerning acts affecting that individual’s tenancy. A key component of landlord tenant laws is also Maine Tenant Screening Background Checks. We’ve dedicated an entire page to it because of its importance. Visit Maine Tenant Screening Background Checks to screen your tenant. All states require a variety of forms to rent an apartment to a tenant and Maine is no exception. Check out American Apartment Owners Association’s Maine Landlord Forms now. Looking for landlord tenant laws outside of Maine? The American Apartment Owners Association offers helpful landlord tenant laws for all 50 states. Click on any of the states listed below and go directly to its landlord tenant law page. To visit the homepage of landlord tenant laws, click here.